This is for the newest member of the bunch! 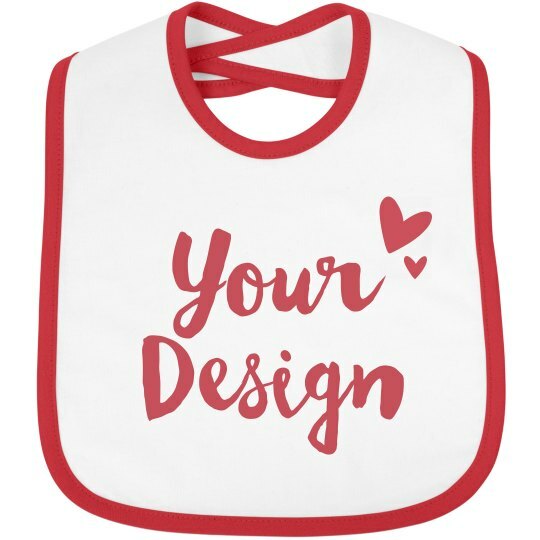 Celebrate Valentine's Day together and have your baby wear this cute bib. Customize this with funny phrases for Valentine's, her name, add arts, too! You can add puns like "I love you from my head to-matoes"! You know, we need to be funny sometimes!